The event will feature over 200 top furniture makers from Thailand and overseas, and the Small Order OK (SOOK) policy will be in place to welcome buyers with specific needs and with small orders. If you are a designer, an architect, a furniture entrepreneur, an executive in charge of furniture purchasing for real estate projects, hotels and resorts, this is an event you don’t want to miss. The event will feature over 200 top furniture makers from Thailand and overseas, and the Small Order OK (SOOK) policy will be in place to welcome buyers with specific needs and with small orders. With the SOOK policy, you can make your niche orders with specialized requirements, and of course, in small orders the way you need them. This policy has proven to be popular among niche market customers such as boutique hotels or resorts, as well as contract projects. ‘T-Style Project’ exhibition by world-renowned Japanese designer Toshiyuki Kita will feature various furniture items specially designed for the Japanese market. Selected furniture designs will be further developed into actual furniture products to be displayed at the ‘Living & Design’ exhibition in Osaka, Japan. ‘Design Excellence Award’. This exhibition showcases award-winning creative design pieces by Thai designers which have previously won the prestigious ‘DEmark 2013’ contest. The contest is held with the belief that good design can significantly add value to products, which then translates into growth in sales and increased competitiveness. This year, all furniture items are designed under the theme of ‘Release Your Creativity’ – which underlines the power of the new generation in helping to care for the environment. ‘Amercan Hardwood Design Camp’, now in its 6th year, presents a host of selected furniture designs by furniture design students from various Thai universities who aspire to become budding designers. ‘Waste to Wealth’ exhibition. This year’s 4th Waste to Wealth exhibition aims to promote better and even more sustainable waste management. Spearheaded by Dr. Singha Intarachuto, Thailand’s renowned waste material designer, the project specializes in adding value and turning seemingly waste materials into distinctively designed furniture and home decorative items. 1. 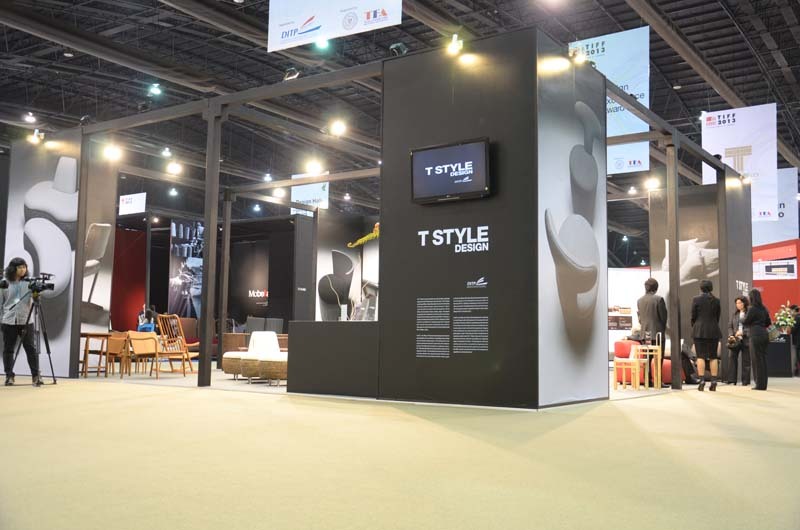 To build an image for Thailand as the hub of furniture production and export in the region by expanding the scope of the show to cater more to the needs of international customers. 2. To be a platform for international buyers and Thai furniture producers to meet which will result in the expansion of Thailand’s furniture export value and volume. 3. To stimulate Thai furniture makers to constantly improve and remain innovative at all time. 4. 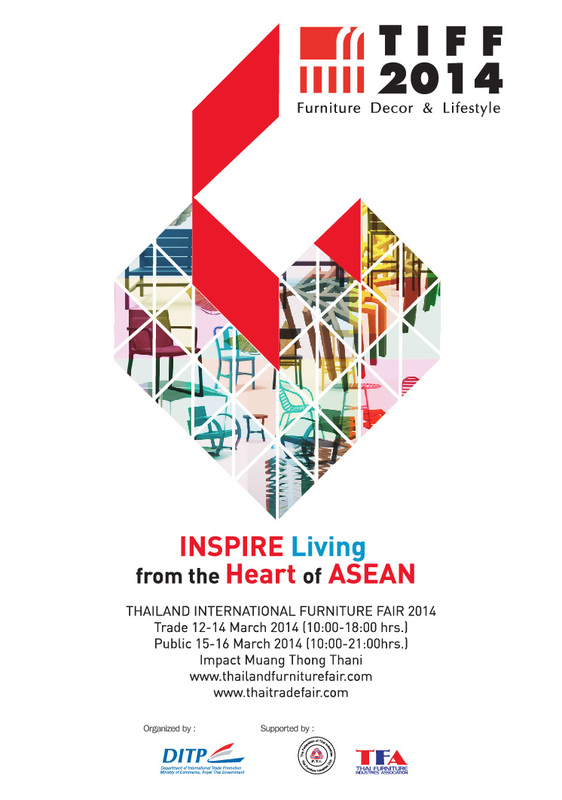 To promote Thailand as the center of trade and trade shows in the region. Exhibitors: Furniture makers, furniture entrepreneurs, furniture parts suppliers and home accessories providers from all around Thailand and beyond.